Team practices begin on Monday, August 15 at 9am in Van Cortlandt Park. 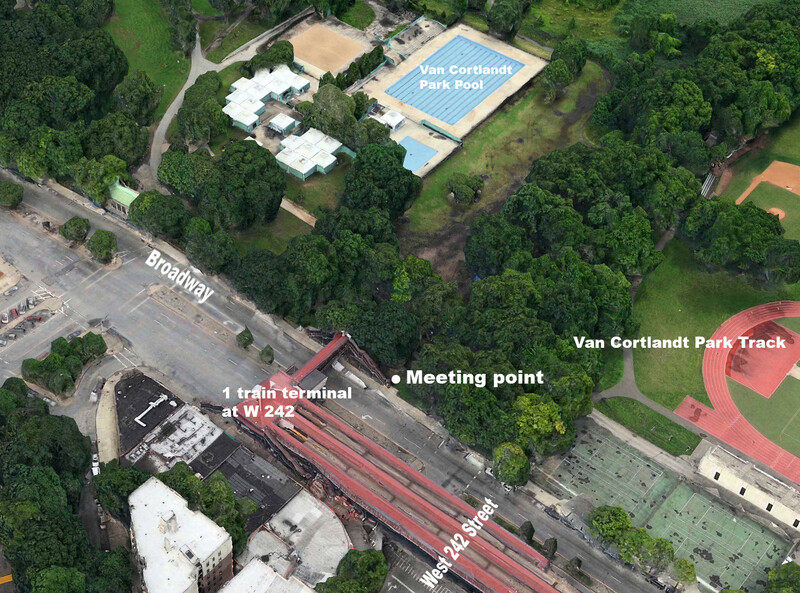 We'll be practicing throughout the park but meet on Broadway under the 1 train terminal at 242nd Street. We finish at 11am each day at the same location. Temperatures the first week will be about 80 degrees in the mornings and won't affect practices. Athletes should bring water bottles and drink whenever they feel the need to.